Gift giving is a competition, and by gum you're gonna win it! 1. A tin recipe box with cards for safeguarding the recipe for their famous homemade rugelach (that you'll definitely be smuggling a dozen of in your bag on the way out). The box includes 14 dividers and 50 recipe cards. The dividers are even laminated to help protect your recipes from rogue spills! Get it from Amazon for $26.99 (available in three patterns). 2. An Instagramable slate cheeseboard with cutlery to have guests diving for their plates and cameras in equal measure. The tray is made of slate and the cutlery is made of stainless steel, making this a durable set worthy of many an #onthetable post. Get a 12"x16" tray from Amazon for $25.97+ or a larger 14"x20" one for $45.97. 3. A throw blanket that will turn any corner of her home into The Official Snuggle Corner. The throw comes in an astonishing *13 colors*, making it the perfect gift for a hostess of any aesthetic. 4. A wine decanter to enhance their already excellent wine game. Decanters really do make a difference. I dated a sommelier for a week once. I would know. The decanter holds a full 750ml bottle of wine in the base. Yum! 5. A set of aesthetically pleasing geometric coasters you can configure a ton of different ways to make coffee table protection more stylish than ever before. I used these for years after they were given to my roommate as an excellent hostess gift. They were always in different patterns around the house, and I couldn't recommend them more highly. Thanks for letting me leech off of your friends' gift-giving skills, Sara! Get a set of six from Amazon for $24.50. 6. 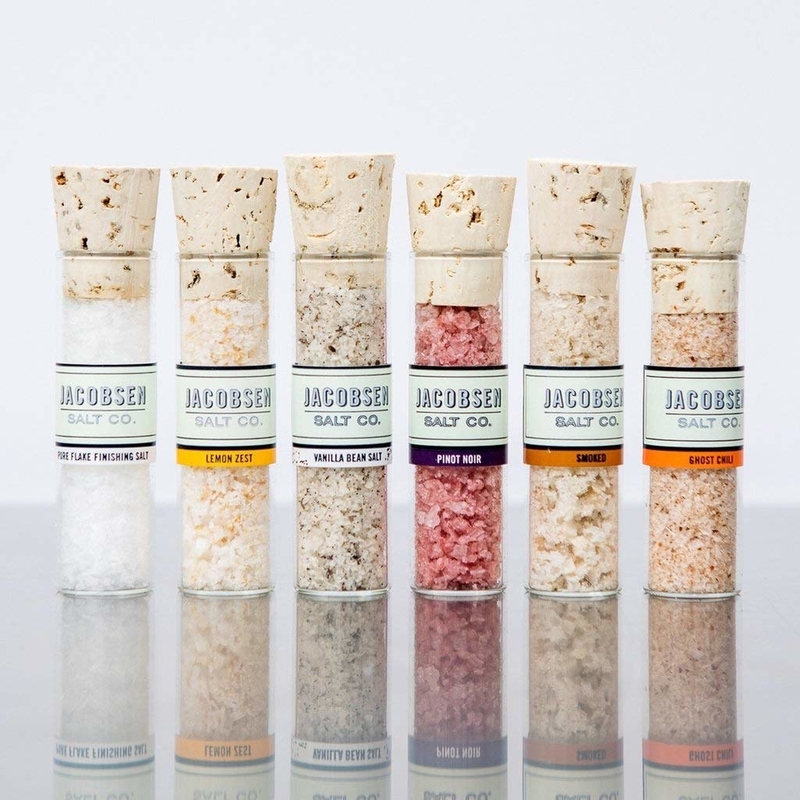 A Jacobson Salt gift set because salt is god's greatest gift to mortals and, in my opinion, the greatest gift you can give to another person. But, that's coming from somebody who gave their partner only "salt themed" birthday gifts this year, so take that with a grain of...well...you know. 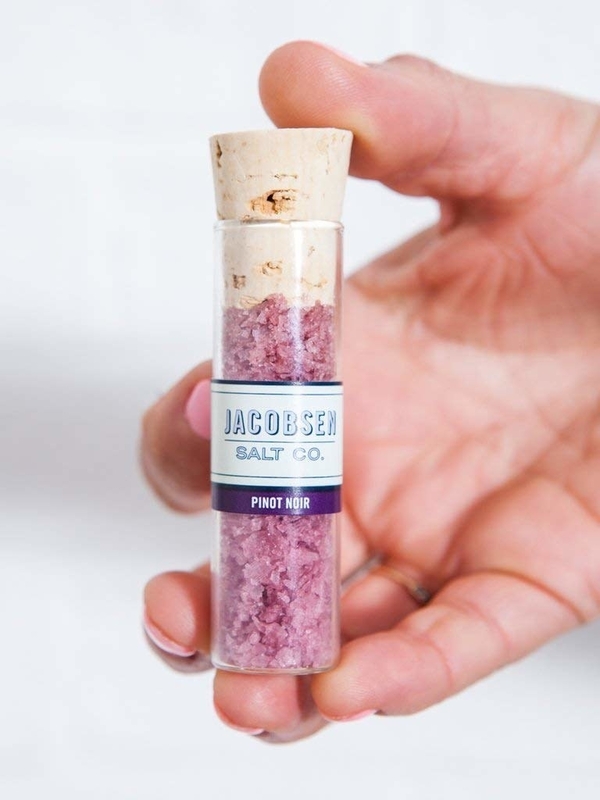 The set comes with original flake finishing salt, lemon zest, vanilla bean, pinot noir, Oregon cherry wood smoked, and smoked ghost chili flavors. Get it from Amazon for $30.61 (for the set of six). 7. A set of whiskey stones to make sure your relationship with the hostess isn't ~on the rocks~. Just pop them into the freezer, add to a drink, and enjoy at your leisure — without worrying about it getting watered down by ice! The set comes with nine stones and a velvet pouch, as well as an already lovely box, so you can skip the wrapping if (when) you're short on time. 8. The Voting Game, a card game that makes fun out of intimately knowing your friends' personalities. My friends and I call this "The Friendship Ender," but I think that's an us problem. What's a party without a little ~drama~? For each round, a question card is drawn, such as "Who gives the most awkward hugs?" and everyone anonymously votes for someone in the group. But the real fun starts when the winner has to guess who voted for them. Meant for five to ten players ages 17+. 9. 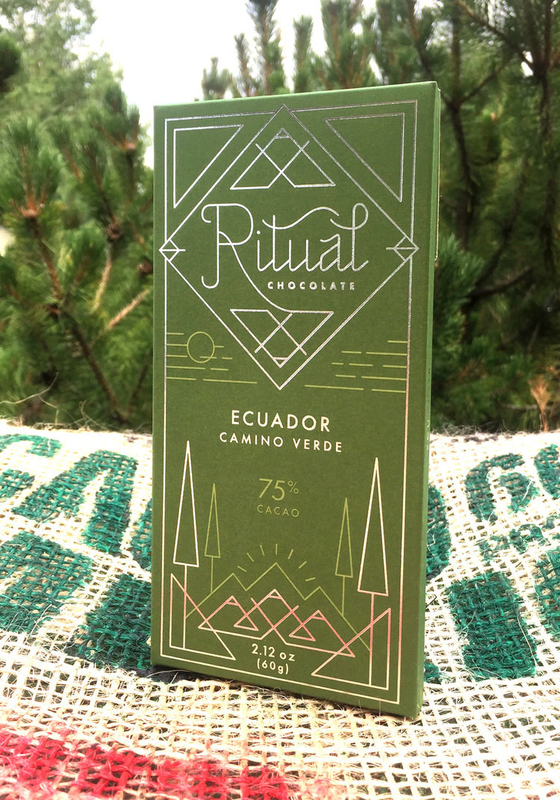 A bar of Ritual Chocolate, the most delicious chocolate in the game. All bars are handcrafted, so I'm pretty sure you can call this a "handmade gift" and get away with it. 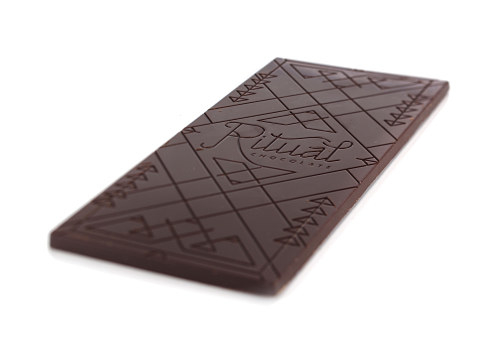 Ritual handcrafts all of their bean-to-bar chocolate in small batches in Park City, Utah. This is very genuinely my favorite chocolate, please bring me some to my next party. Get it from Amazon for $11.99 (and don't forget to explore the rest of their flavors). 10. A copy of BuzzFeed's Tasty Latest & Greatest Cookbook, which is choc-full of delicious party recipes such as carne asada fries and sliders four ways! Get. In. My. Belly. Get it from Amazon for $13.51. 11. 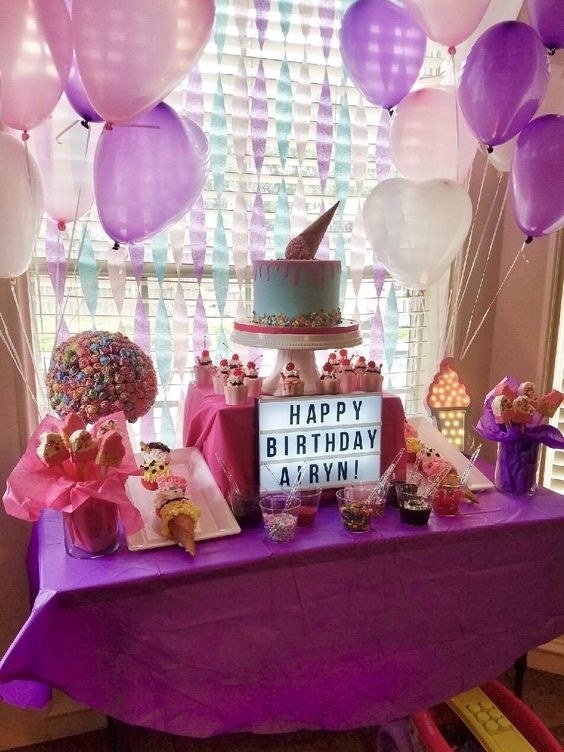 A customizable light box for a perfect party decoration as well as quirky everyday decor. 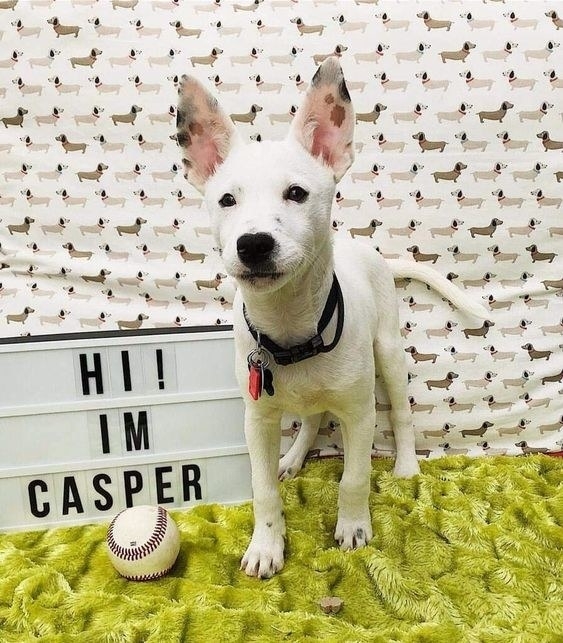 Mine would say "Casper's #1 Fan." The light box comes with 109 letters and numbers, so even the most long-winded host can get their point across. Promising review: "Bought this for a birthday party and then used it again for Thanksgiving and Christmas. Adds a nice touch to the festive decorations. Love it!" —Katherine P.
12. 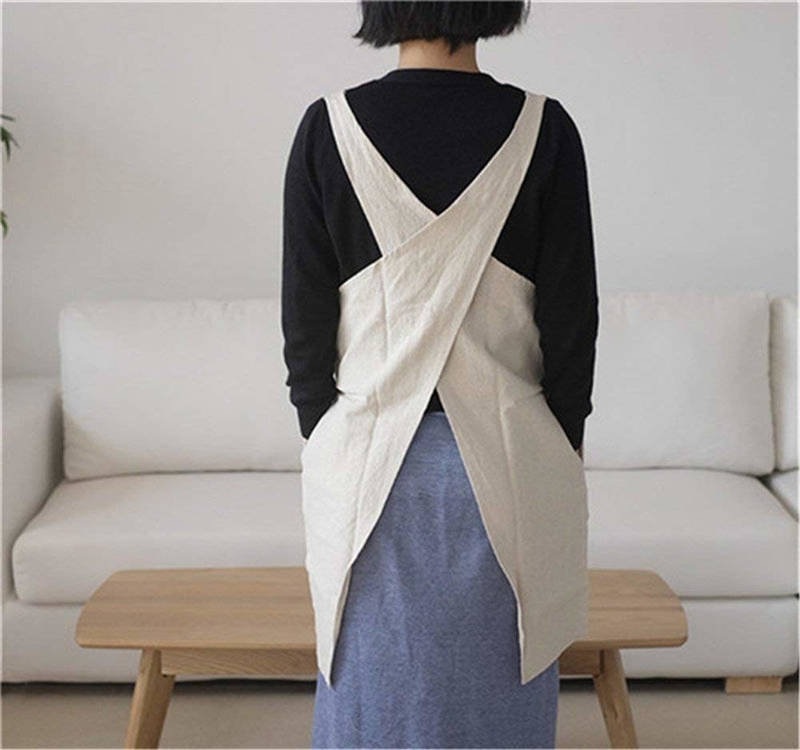 A cotton cross-back apron because 100% of hostesses want to look like they work in the Bon Appetit test kitchen. That's just a fact! 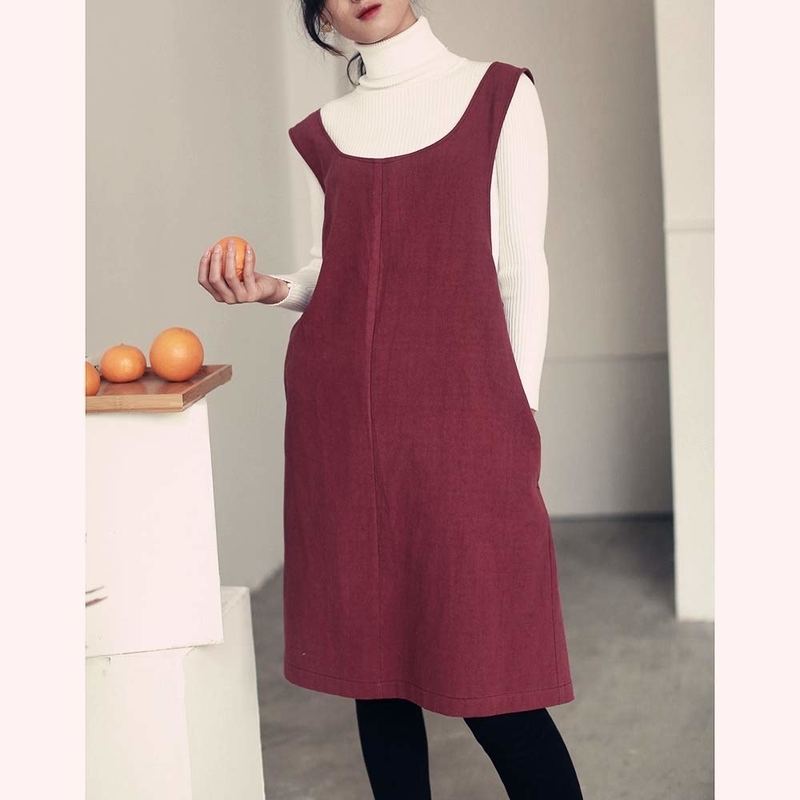 Also it has pockets! The apron doesn't pinch the neck or waist like a traditional one, meaning comfort and delicious confections can go hand in hand. Get it from Amazon for $19.98 (available in six colors). 13. A Capri Blue Volcano candle so you can have *NEWS FLASH* the candle they burn in Anthropologie, the greatest smelling place on planet earth!!! THAT'S a gift that keeps on giving. This version comes in an 8.5 oz travel tin, and smells so good you should just go ahead and order one for yourself already, too. Get it from Amazon for $14.32 (available in four other scents, but like...Volcano is the best). 14. 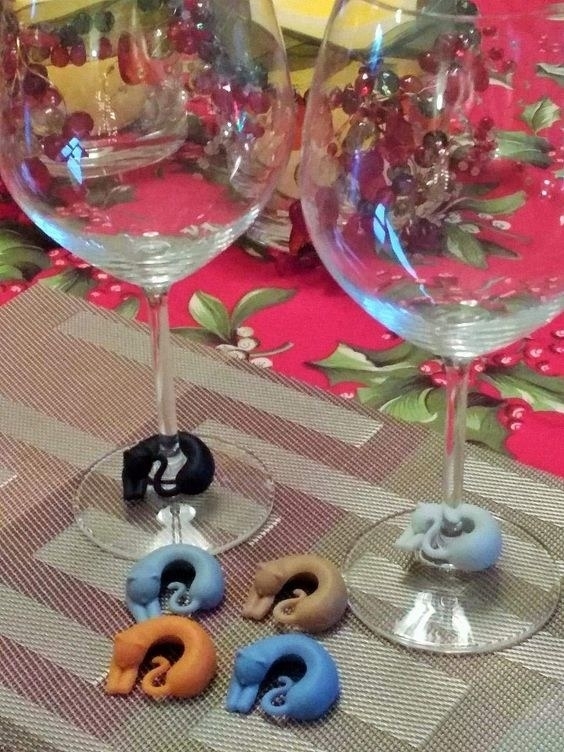 A set of wine glass markers because without them, guests will become befuddled and unable to figure out whose wine is whose. There are many, MANY problems in the world, but this is one we can actually fix! The markers also come in dog, sloth, koala, and squirrel designs. 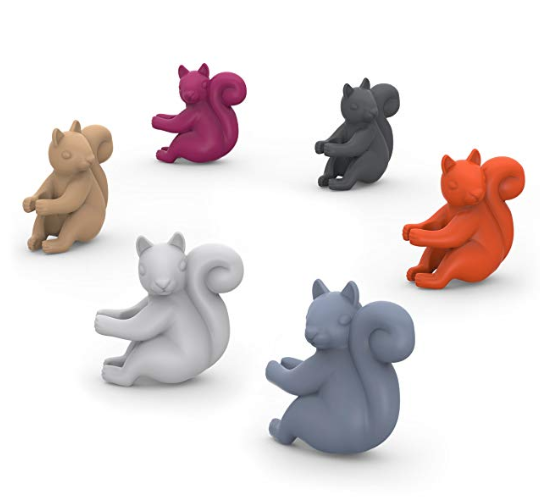 I double dare you to get the squirrel ones because WHOMST is stanning squirrels that hard?! Get them from Amazon for $8+. 15. A stringed photo display for them to curate their own tiny museum of the party mems. Remember when Sheryl dropped all that potato salad? With a photo strung up proud, we'll never forget! The frame comes with five twine cords and 40 mini clothespins for your stringing pleasure. Get it from Amazon for $18.39+ (available in four different styles). 16. A beau-tea-ful tin of Harney & Sons tea so the host-in-chief can relax after all the hubub of another successful fête. Get it from Amazon for $7.99 (available in three flavors). 17. A pack of biodegradable paper straws whose cuteness and biodegradability will have party guests and sea-turtles equally thrilled! Get a pack of 200 from Amazon for $8.99 (available in two colors). 18. 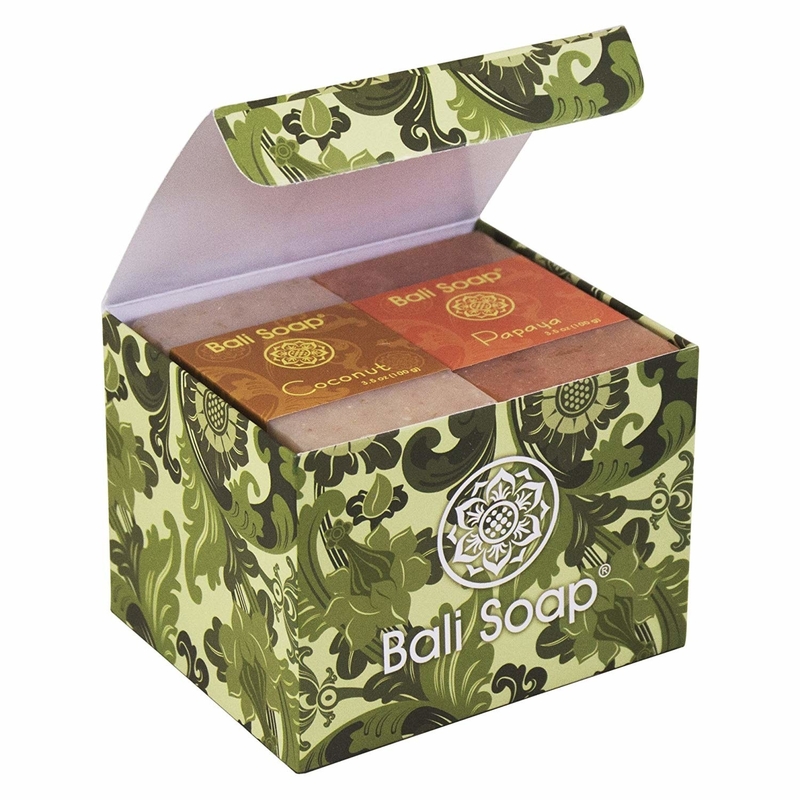 A Bali Soap gift set so everyone's hands can smell fresh as can be after digging into a vat of buffalo chicken dip (the only good dip, fight me). 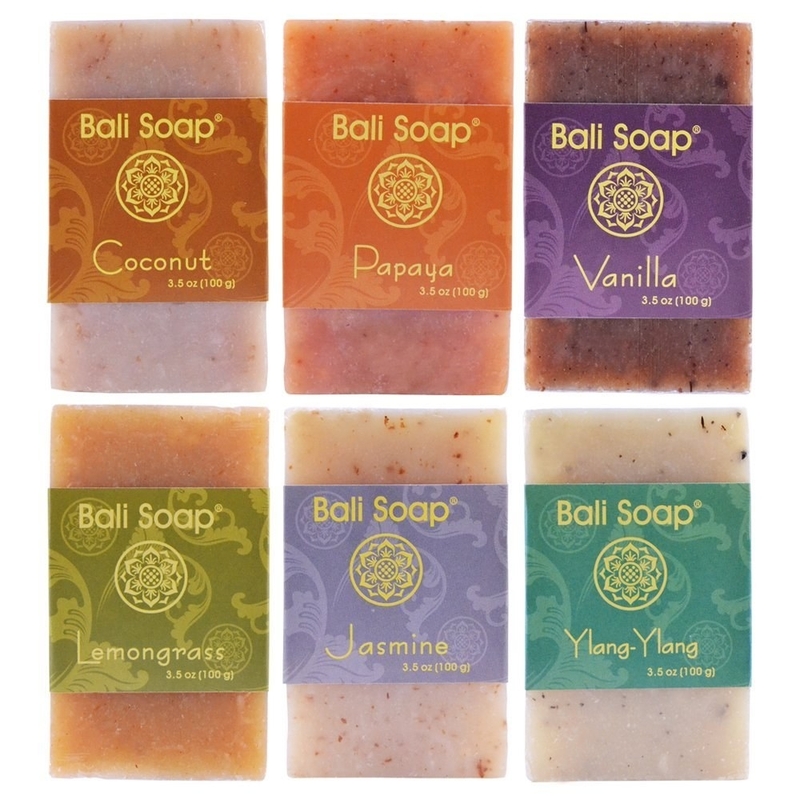 The soaps are 3.5 oz each and come in coconut, papaya, vanilla, lemongrass, jasmine, and ylang-ylang scents. 19. A Homesick candle that will make the home you were warmly invited to even warmer and more inviting. Get it from Amazon for $29.95 (available in 12 different scents). 20. A dachshund ice cube tray so party-goers can cool down a beverage with a hot diggity dog. 21. A couch guest book for the hostess to read back on years later and think, "I throw the best goddamn parties in the world" after reading your glowing review of Friendsgiving 2k18. 22. An olive oil dispenser set, because it's impossible to execute the perfect drizzle of olive oil to finish a caprese salad without one of these bad boys. The set comes with one17 oz olive oil bottle, a stainless steel funnel for easy refills, a pour spout with a dust cap, a pour spout with a flap cap, and two black sealed corking tops. It's also dishwasher safe! Key when it comes to anything that's meant to get oily. And *hot tip* you also save money by buying bulk jugs of olive oil and refilling one of these rather than buying a bunch of small bottles. 23. And lovely thank you notes, so they can be sure to show their never-ending gratitude for your incredible gifts! The pack comes with 32 cards, as well as envelopes and sealing stickers. But don't forget to give your hostess the greatest gift of all — helping them clean up after the party. You've checked "hostess" off of your gift list! Anyone else you need to buy for?